← Coachella Oh la la! 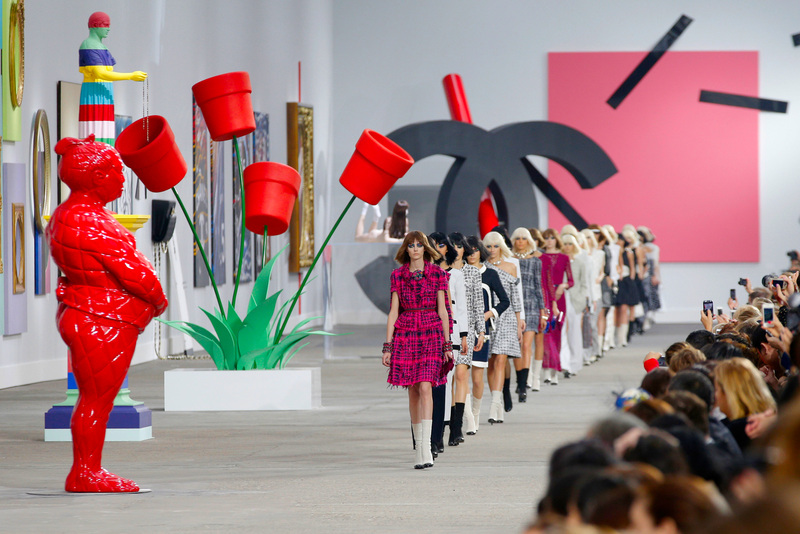 This week, French boutique Colette announced via social media their latest item on sale: “Chanel Art…” by Chanel creative director, Karl Lagerfeld. 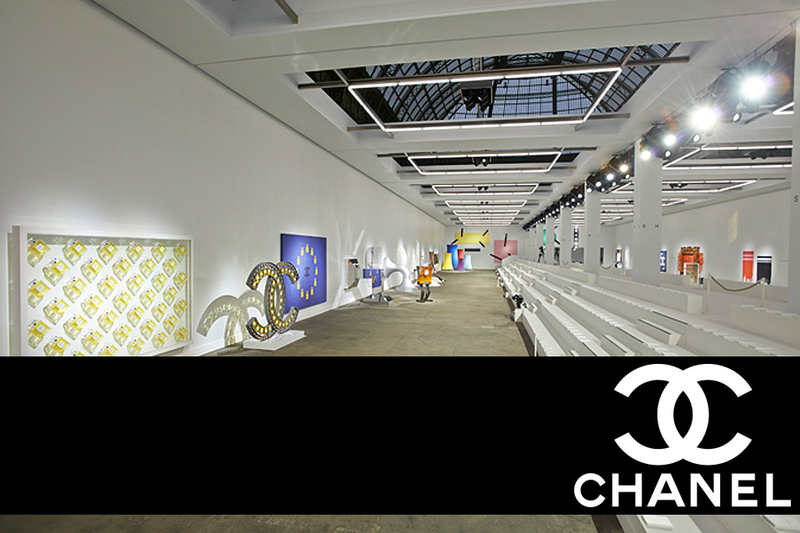 This comes as no surprise as Colette is considered one of the hotspots for all things trendy and has teamed up with Chanel and specifically, Lagerfeld in the past. 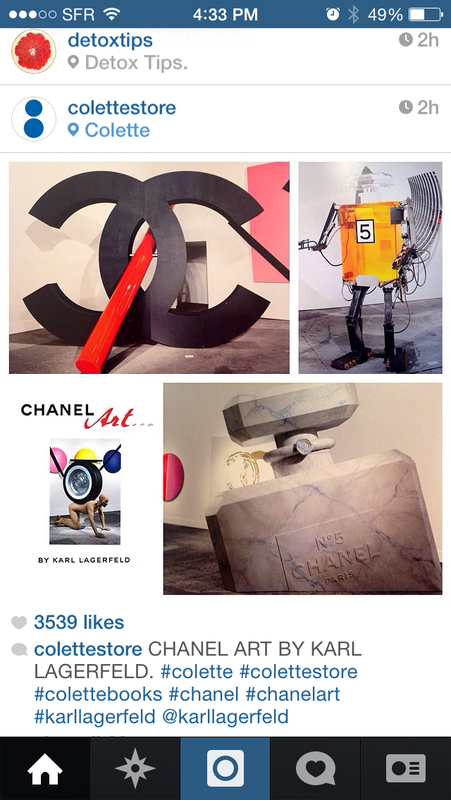 The book is comprised of photographs of art pieces from Chanel’s Spring/Summer 2014 runway show. 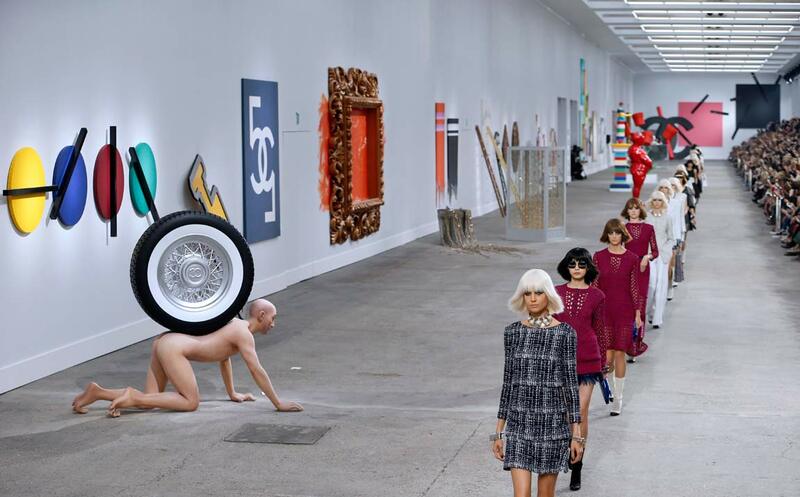 For this show, Lagerfeld transformed the Grand Palais into an art gallery with sculptures, paintings, and installations, which were all designed by Lagerfeld himself. 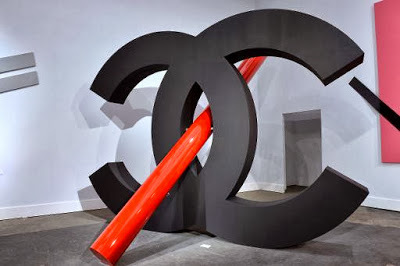 The various pieces were meant to be ironic twists on classic Chanel icons such as the double C’s logo, the Chanel N°5 perfume bottle, bags, tweed suits etc. 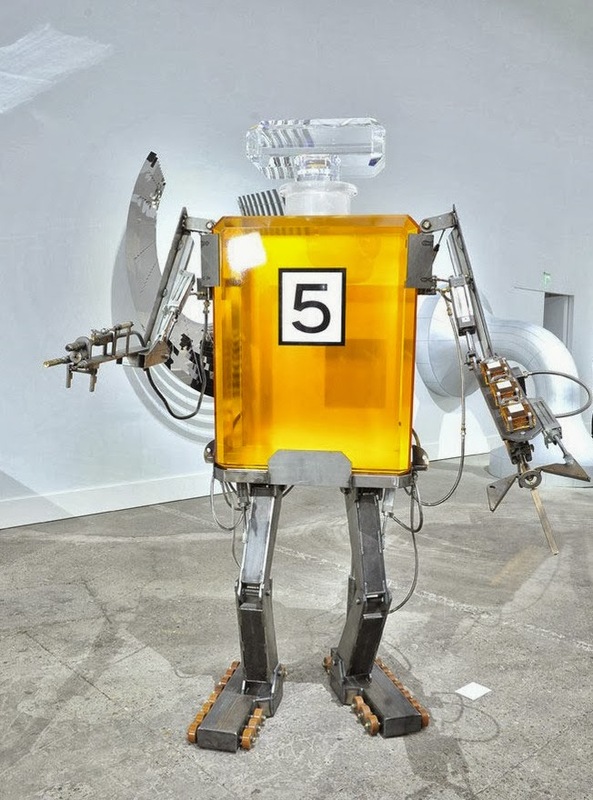 The pieces are definitely quirky with a sculpture of a Chanel N°5 bottle turned robot, a man on his hands and knees with a Chanel wheel on his back, and a painting of the classic Chanel logo made up of two fives. 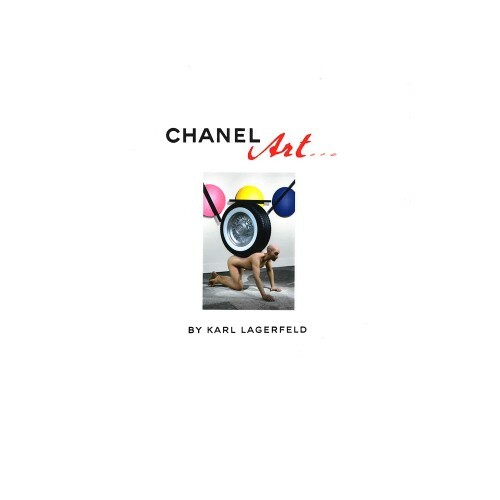 “Chanel Art…” is a hardcover book with 160 pages worth of Chanel art being sold for 28 euros or $38.65 in store and online, definitely one of the cheaper fashion books. Either way, it makes for a great addition to a coffee table and entertainment for guests.